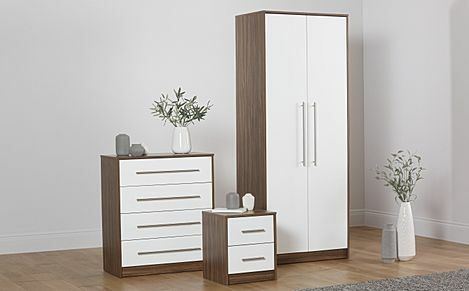 Clean and contemporary high gloss bedroom furniture design, in a range of modern, neutral colours. 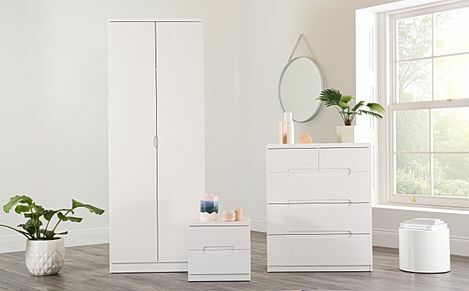 You can't go wrong with a bit of shine and glamour - our high gloss bedroom furniture goes big on style, as well as functionality. 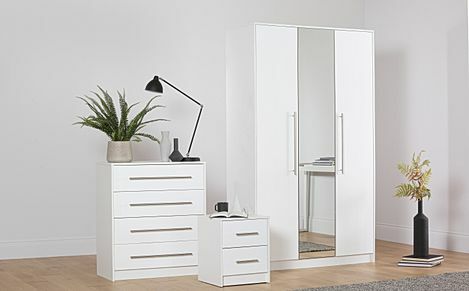 We have a great selection of bedroom furniture for sale, and with fast and free delivery to most parts of the UK, shopping online with us is convenient and fuss-free. 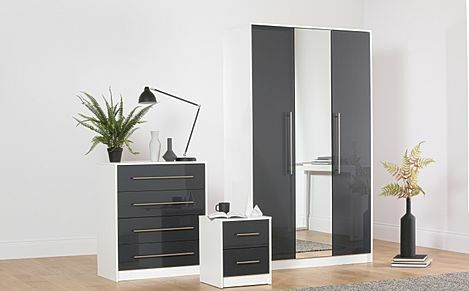 High gloss furniture offers a sleek, polished feel that'll thats fit right at home in modern interiors. Start off small with a high gloss bedside table, or opt for a stylish high gloss wardrobe for full effect. And if you aren't afraid to go even bolder, we have striking mirrored furniture that'll stand out against any interior and backdrop. 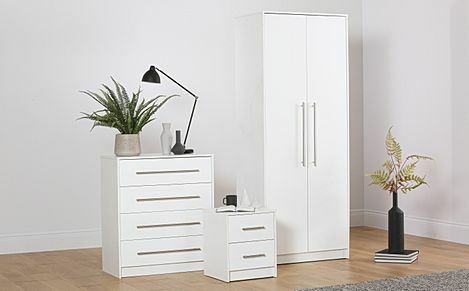 Alternatively, you can shop our entire range of modern bedroom furniture to find the right choices for your home. 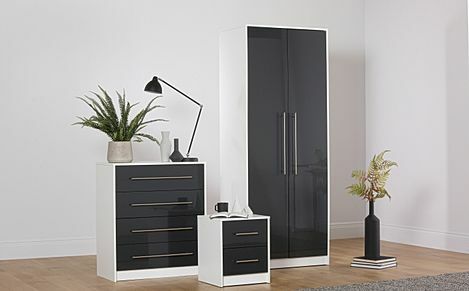 Our high gloss furniture is available in several stylish neutrals, from black and cream, white to versatile grey, so there's something for everyone here. And if you're redecorating your bedroom at in one go, you can't go wrong with a new bed and a comfy new mattress. Shop our collection of beds and quality mattresses to find the perfect fit for your lifestyle and budget. 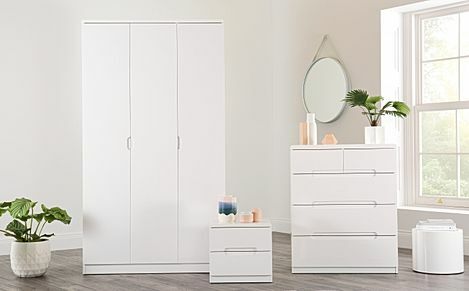 Once you've selected your bedroom furniture, choose a payment option before picking a preferred delivery date at checkout.